It is a thought-provoking image and message, however, and worth considering as we ponder myths Christians believe about money. Myth #2: Wealth is a rational result of resourcefulness. If I’ve made my money, it’s because I made my money, right?I did it. I earned it. I worked hard for my wealth.I started out on my own. No one helped me. I just went at it as hard as I could. I, right? Sure, Sir Richard Branson is brilliant, but where did he get that brain? Sure, Branson has worked hard, but where did he get a healthy body? How about all the education and learning opportunities he had when he was young? His parents provided all that for him, and where did they get the resources? Branson could have died from malnutrition at three months old if he had been born on the other side of the globe. Or he could have been born in a different time, say the Middle Ages, one of the most oppressive times in history. But he wasn’t. He was placed into this place, given this mind, given this energy, given these responsibilities and opportunities, from whom? My God and my Creator, check my heart, O Lord! Show me where my independent arrogance is taking credit for Your gracious gifts. I praise You and I thank You for everything that makes me wealthy. To You be the honor for all that I am and all that I have. Amen. We want to help you think clearly in a messed up world! Every day we hear stories of political, social, moral, and spiritual turmoil, reminding us that things aren’t as they’re supposed to be. So how should you as a believer deal with these disturbing events? 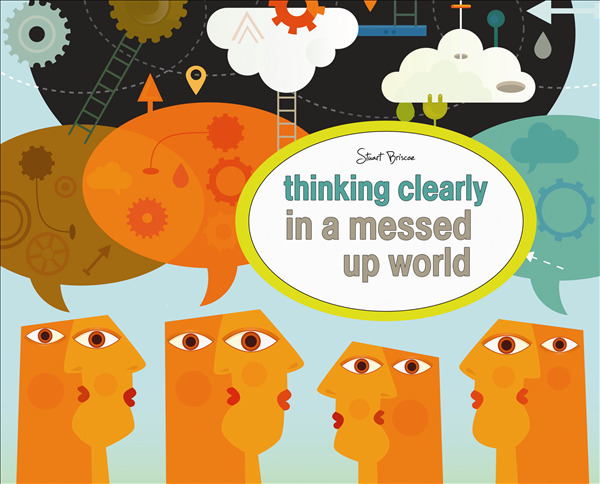 In his new 6-message CD series, Thinking Clearly in a Messed Up World, Stuart Briscoe wisely answers this question as he shares how you can biblically understand and powerfully respond to the challenges in the world around you. This resource is our gift to thank you for your gift of any amount , so please request your copy below!